This open photo booth is great for corporate events, promotional/ advertising expo, school events, graduation parties, weddings and birthday parties. Choose from a wide selection of curtains for your back background. 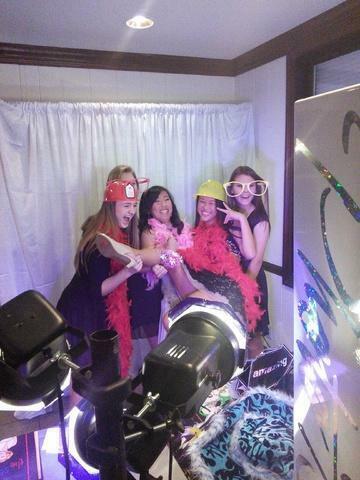 Our standard 3 hour package so your guests can enjoy the photo booth fun. Add more photo booth rental hours by increasing your time of photo booth fun at check out $125 for each additional hour includes, extra hours for staff and unlimited pictures. ** Saturdays and Holidays require 4 hour minimum booking unless approved by management specifically written in comment section in invoice call or email to inquire about date availability.